Sometimes we need a little help with emotional or spiritual issues. I can help you to release issues through a guided healing meditation and provide you with a sense of comfort. It may also offer you clarity and creative solutions. If you have a decision to make, a healing meditation may provide direction. Interested in making a connection with your Higher Soul? This method may help you to make a more secure connection and I will teach you how to stay connected. We are in a period of “mindfulness” and “spiritual growth”. Perhaps you are a little out of sorts or not grounded or feeling unfocused. 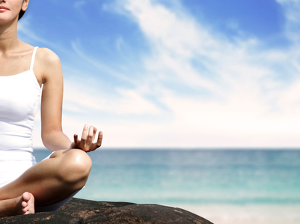 Guided healing meditation will help you to become centered, grounded and more focused. I can help you either in person or via a phone call. Schedule that appointment with her today! You will benefit! Please continue to read for more information. Guided Healing Meditation Please continue reading for more information. So when you are ready for peace and joy, make that call! Stillpointe Wellness Center, where my business is located, has wonderful healing energy. You will feel it as soon as you walk into the center. It’s peaceful, calm, and peace filled. I can also work with you over the telephone email or text. In fact, most of my clients phone in weekly or monthly. The guided healing meditation can be facilitated in person, over the phone, or via email. Rates vary. You may record your session. Prepayment is required please. Call Karen today at (618) 696-6411 or complete the Contact Form for a consultation and to schedule your healing meditation session. We understand that events occur that may prevent you from keeping your scheduled appointment, however, management reserves the right to charge for the session fee in the event of a no show or no call.